Hotel or airport pick-up and return to Hanoi or Hai Phong can be arranged through us. For Hanoi to Halong Bay, allow three-and-a-half hours one-way, and 90 minutes for Hai Phong to Halong Bay one-way. You can also choose to take off from Hanoi in a seaplane operated by Hai Au Aviation and take in the sweeping views of the bay en route. 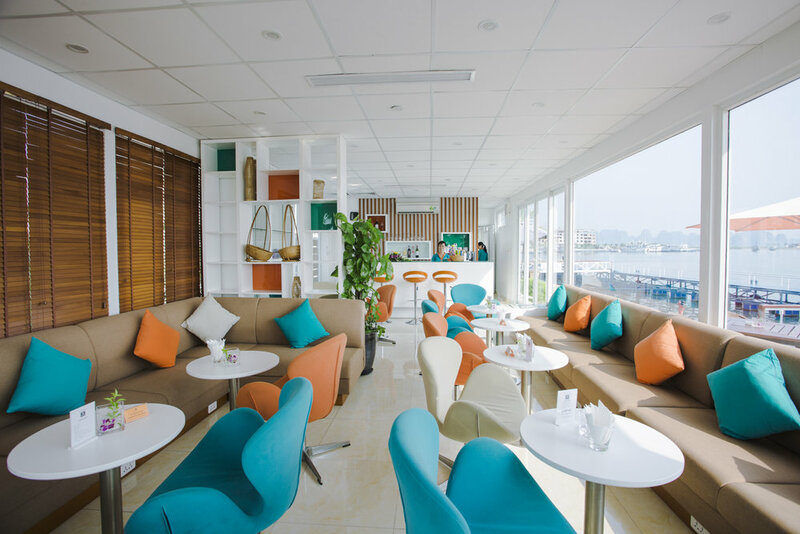 L’Azalée’s marina-based lounge is exclusively reserved for guests of our cruises. The lounge is designed to provide comfort and convenience both before and after your cruise adventure, offering speedy check-in and check-out along with complimentary welcome drinks and free WiFi.